Following the EuroLeague Players Association, the EuroLeague Officials Union was formed before the start of the new season. The Union of Euroleague Basketball Officials (UEBO) has been established prior to the start of the 2018-19 season. The historic creation of UEBO was unanimously voted for, by all of the current Euroleague referees, who also elected the first Board of Directors – Sasa Pukl (Slovenia – President), Luigi Lamonica (Italy – 1st Vice President), Daniel Hierrezuelo (Spain – 2nd Vice President), Christos Christodoulou (Greece – Treasurer), Sreten Radović (Croatia – Secretary), and Ilija Belošević (Serbia), Olegs Latisevs (Latvia), Robert Lottermoser (Germany), Boris Rhyzyk (Ukraine) as the leadership group for the newly formed Union. 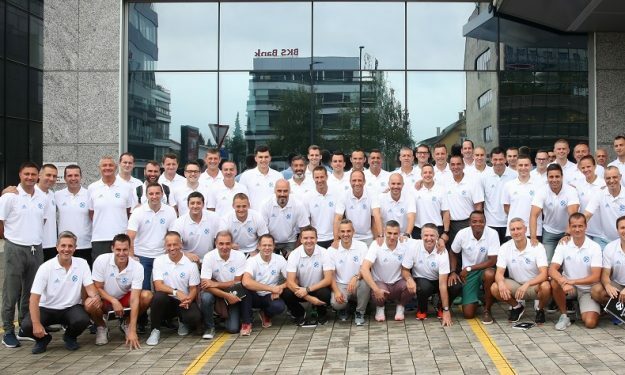 “This is an important and historic step for top European basketball referees. I am sure we will jointly help to move to officiate forward and work closely to help the growth of Euroleague Basketball in becoming even better in the future,” Sasa Pukl said. Uebo is registered in Spain as an Independent Union aiming to assist, represent and unite Euroleague Basketball referees in achieving their goals, on and off the basketball court. UEBO has 67 members from 23 different countries, including 6 newcomers who joined the Euroleague officiating staff for the 2018-19 season.